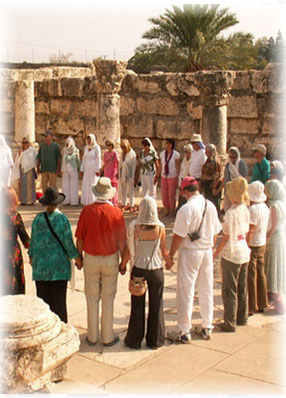 Our pilgrimages bring together people from all over the world, devoted to immersing in enchanting locations such as Israel, Egypt, Italy, and France. Whether riding camels up Mt Sinai for an all night meditation welcoming the dawn, or entering the sacred cave of Mary Magdalene, or perhaps "dancing on the Sea of Galilee", they are far more than a "tourist trip"! Grounded in the PathWay, and led by Jayem and other senior PathWay teachers, these are precious journeys that truly serve the purpose of pilgrimage: to heal and grow the soul, in a context of fun, friendship, and discovery! If you are on our mailing list, you'll be sure to receive advance notice.